There are many sponsorship opportunities with the Eno River Women’s Rugby team. Our team members are well-connected in the community, frequently organize socials at local establishments, and compete in tournaments that have hundreds of attendees. Sponsors’ logos can appear our website and Facebook pages, our team banner at matches and tournaments (which bring in hundreds of female and male rugby players, as well as spectators), kits (our uniforms), and gear. In addition, our team takes an active role in promoting our sponsors’ businesses, whether it be through word of mouth, team meetings and get-togethers during the week, and/or individual or team purchases. And, remember, your donation is tax-deductible—we are a non-profit! We also eagerly welcome private donations to keep our rugby club up and running (quite literally!). 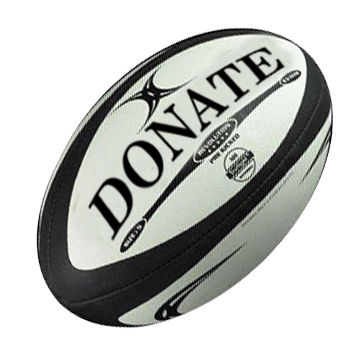 If you have a PayPal account and would like to make a tax-deductible donation to Eno River Women’s Rugby, please click the “Donate” button below and send money to us at enoriverwomen@gmail.com (choose “friends or family” option). Every dollar counts, and these ruggers are grateful for your generosity, no matter the amount.